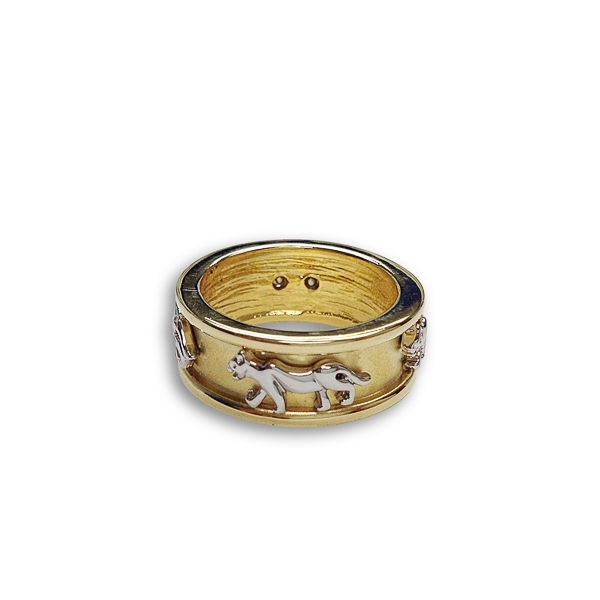 Description: Rhodium plated wild cat pattern set on a 14k gold plated pathway creates this chic ring band. Mix of high polish and matte finishes further define the detail work on this piece. Material and Measurements: 14K Gold Plated and Rhodium Plated Base Metal - Band width 3/8"